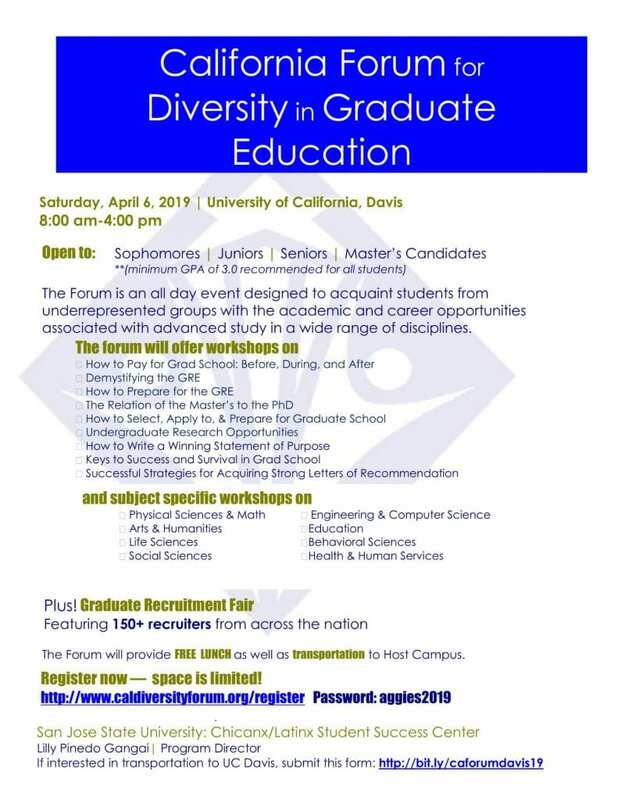 The Chicanx/Latinx Student Success Center is coordinating the recruitment of student participation at the Northern California Forum for Diversity in Graduate Education, which will be held at the University of California, Davis on Saturday, April 6, 2019. The Forum is an all day event designed to acquaint students from underrepresented groups with the academic and career opportunities associated with advanced study in a wide range of disciplines. Register for the forum online at https://www.caldiversityforum.org/index.php/student-registration with the password aggies2019. This is a FREE event for students; however, a deposit of $20.00 (refundable for those attending) is required for students interested in riding the bus from SJSU to UC Davis the day of the forum. Details on time and place of departure will be sent to students who register and submit their fee. The reservation deadline is Monday, March 22, 2019 or until full capacity. Deposits will be returned when they board the bus the morning of April 6. Register for the bus transportation at bit.ly/caforumdavis19. 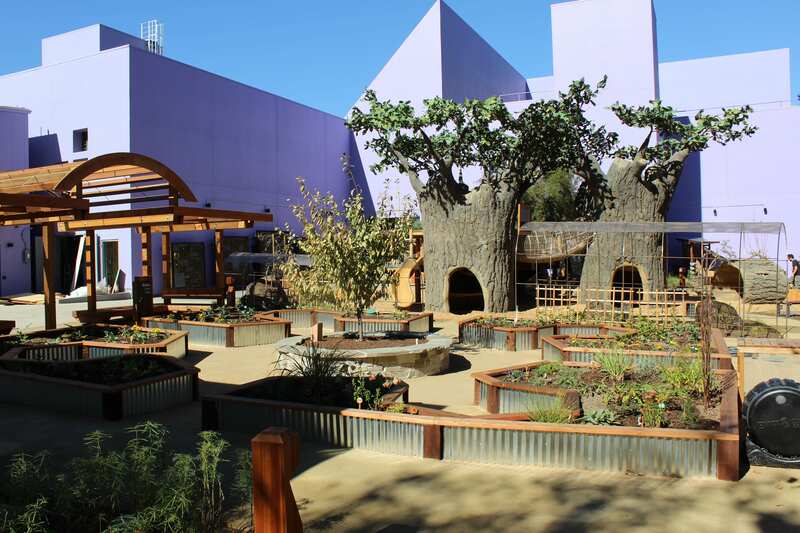 LCOE families kicked off homecoming week with a day at the Children’s Discovery Museum! We enjoyed the outdoor exhibits and reconnected with friends from across all LCOE departments. Thanks to all who spent their Sunday morning with us. We hope you had a great time and we’re looking forward to planning more family-friendly alumni events. Be sure to stay connected and sign up for our newsletter to get updates!